More Than Paper Blog: A Giveaway! Wow --do we have a treat for our More Than Paper Blog readers today! 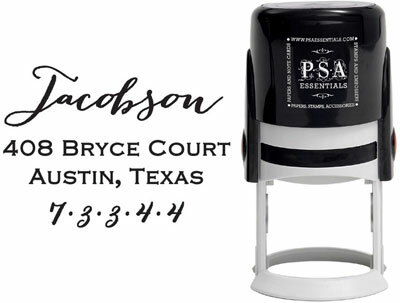 We are giving away 1 desk calendar and 1 PSA Essentials Peel & Stick personalized stamp to dress your desk this February! 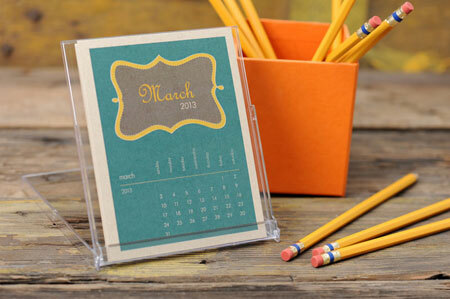 Get organized with this calendar and stamp your correspondence in style with these two great products. There are many ways to enter and win -- follow, fan, or comment or do them all! Good luck! This contest ends next Wednesday, February 26th at 11:59 EST. I'm going to stay organized this year by picking up after myself and not letting things get out of control! I need to get my stamp room cleaned up and organized. Bought some new containers to get me going on it! Starting with a container of magnet sheets to get my cutting dies in order! I plan to get AND stay organized by staying on top of decluttering...not letting things pile up.